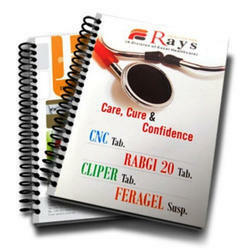 We are one of the foremost firms engaged in offering Printed Notepads. We are a well-known organization, betrothed in providing an extensive range of Printed Notepad that is available in diverse patterns. Keeping track with market development we are immensely involved in offering Printed Notepad . Paper Size: Available in 1x3",2x3",3x3",4x3",5x3"
We manufacture wide range of Note books & Diaries for office usage and students. Unique Design and superior quality are our specialty about our Note books and Diaries. Below are some of our designed products. 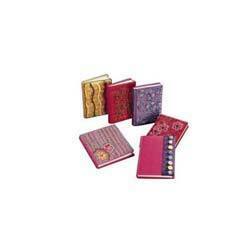 We can also delivers Notebooks and Diaries as per our client's requirement. Our MOQ is 500 pieces and lead time for manufacturing is 10 days. We are a well-known organization, betrothed in providing an extensive range of Printed Notebooks that is available in diverse patterns. This unique item is very useful at home or at the office. The personalizedNotebook can be imprinted with your logo and customized as per your needs. - 3 Memo Pad Full Set Along With 3 Pad Extra For Refill. Price Range: 50.00 to 300.00 Rs./Piece.